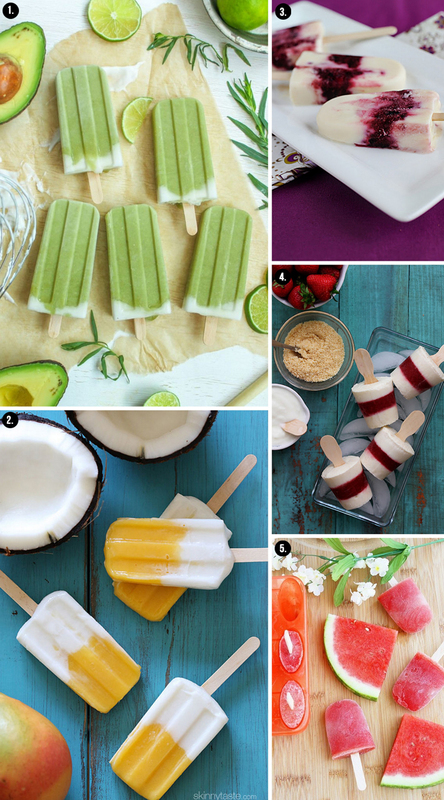 So many enticing popsicle recipes floating around right now...and you will never hear me utter a complaint about that. I've rounded up a few recipes that seem perfect to temper intense summer weather - some of which are a twist on classics, others are totally uncharted territory. I mean, avocado pops? Never heard of it, but count me in. Oh, and try not to lick your computer screen, mmmkay? Save that once these popsicles are frozen and calling your name from the freezer. Sign me up for some Watermelon Margarita popsicles!